This Friday, Melburnians will get the chance to meet their most loyal Valentine – an adopted pup to provide with a forever home. 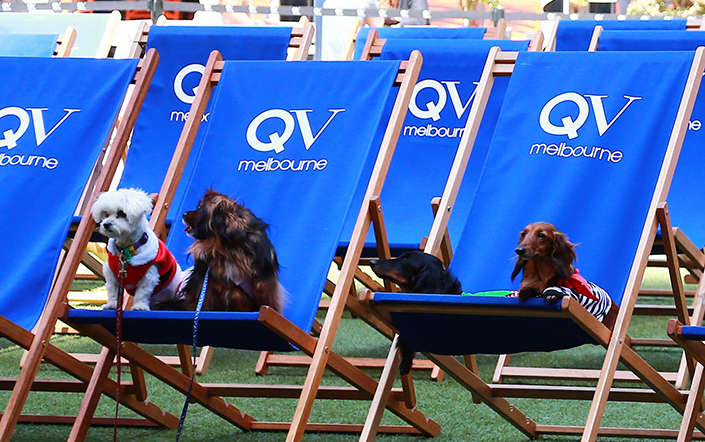 A variety of our adoption dogs will be ready to greet cinema goers at QV Melbourne Outdoor Cinema, with our attendants on standby to provide expert matchmaking tips. On February 9 and 10, dogs are welcome to attend the outdoor cinema with their families to watch Red Dog 2 and A Dog’s Purpose, with proceeds from ticket sales on both nights going to The Lost Dogs’ Home. It’s a fun spin on Valentine’s Day – because who is going to stick with you through thick and thin? An adopted dog will provide a lifetime of love and companionship. We’d love for you to meet and greet our adoptable dogs on the night. If you fall in love, we’ll invite you back to our North Melbourne shelter over the weekend to make it official! By adopting a pet from a shelter or rescue group, you’re giving an animal in need a much deserved second chance. And, you’ll be rewarded with a lifetime of love! Click here to book tickets or for more information.